As you know I'm trying to become better at drawing. 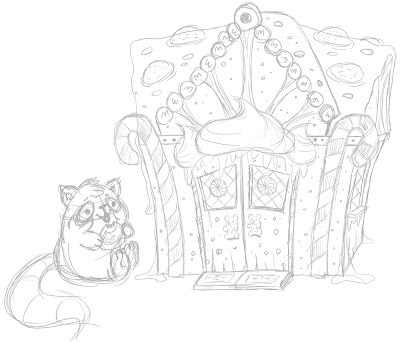 So right now I'm trying to draw my character Coonie at a gingerbread house. 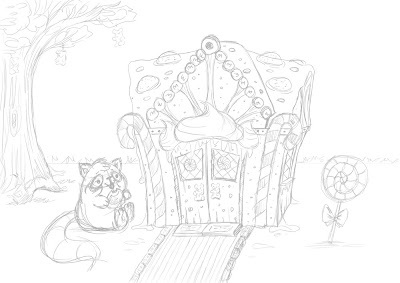 This is a work in progress and so far I only have a few elements sketched out. I'm not even sure of the layout yet.